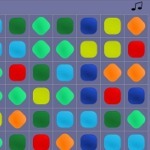 The game consists of placing small balls in a row. The player arranges five (or more) marbles of the same colour in a row (horizontally, vertically, or diagonally). 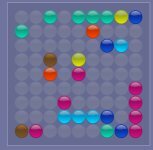 The player can move the marbles to any field the marble can reach (a marble can not move diagonally). 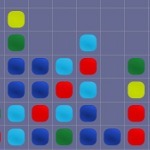 Especially for users of smaller mobile devices this version of the Marbles game is played on a slightly smaller board. Also the number of colours has decreased.